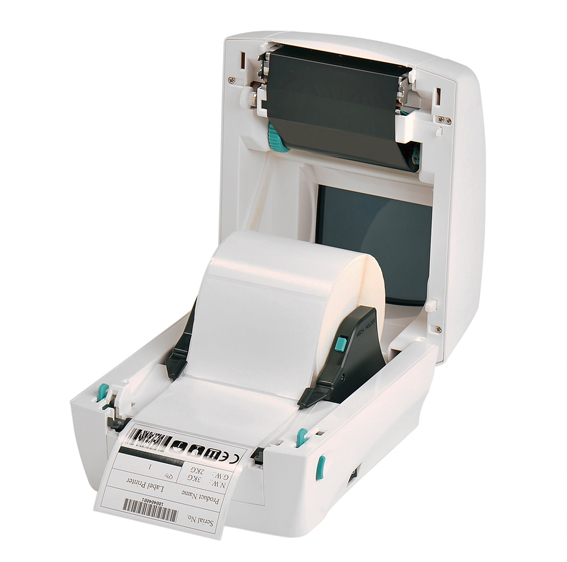 The T4 printer is a cost-effective desktop printer, that comes with industrial level equipment and high performance. A compact size printer, that's small, but big. Graphical User Interface in LCD display makes the menu friendly to users; Four LED buttons allow easy operation; Multiple communication ports fit different interfaces; USB keyboard or scanner works with LCD for stand alone operation; SD slot enlarges the data storage; Real time clock is built-in for time and date printing application; Buzzer sound warns the users at noisy work places; Adjustable see-through and reflective sensor detects labels without mistakes. 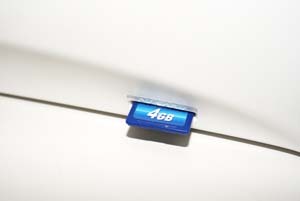 With the high printing quality, reliability and durability, T4 is the best choice for all ranges of application. 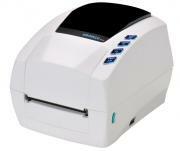 T43 300 dpi printer is a cost-effective desktop printer, that comes with industrial level equipment and high performance. A compact size printer that's small, but big. Graphical User Interface in LCD display makes menu friendly to users; Four LED buttons let operation is easy; Multiple communication ports can fit for different interfaces; USB keyboard or scanner works with LCD for standalone operation; SD slot enlarge the data storage; Real time clock is built-in for time and date printing application; Buzzer sound warns the users at noisy working place; Adjustable see-through and reflective sensor detects labels without mistakes. With the high printing quality, reliability and durability, T4 is the best choice for all range of application. Industrial printer for care label? 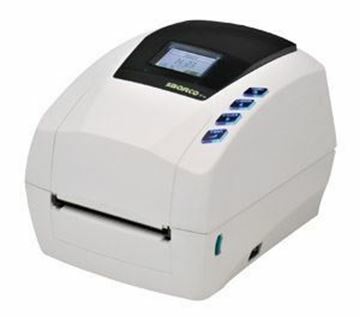 You have another choice for care label printer, SBARCO T43R. 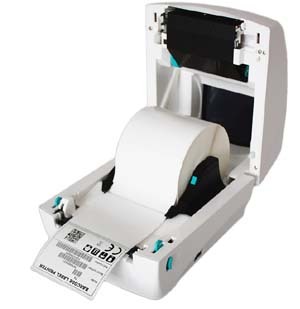 SBARCO releases a model, T43R, for care label printer total solution. 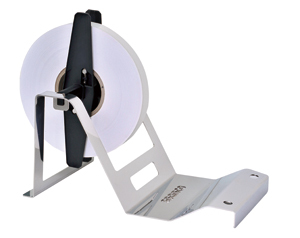 T43R is equipped exclusive cutter, label stacker and holder which make the care label be printed and cut correctly without shifting and sticking problem during the printing process. The minimum cutting length is 10mm. 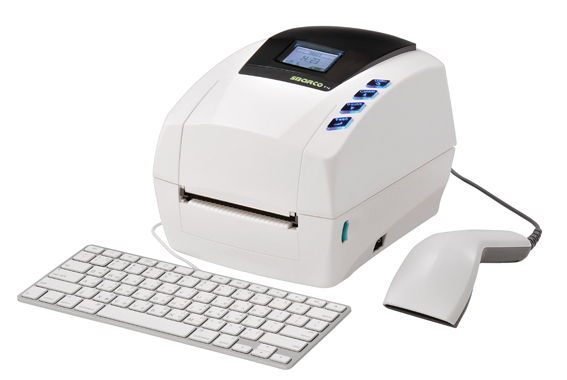 300 dpi printing resolution can print very fine characters, graphics and barcode. 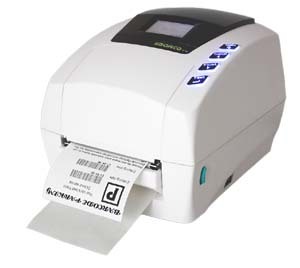 T43R overturns the concept of care label printer, a desktop printer can do the same work as industrial printer, even it is the most cost-effective. 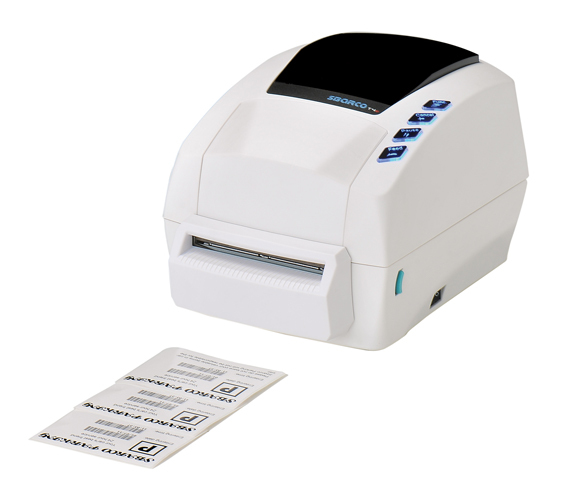 SBARCO is pleased to announce the new release T4e desktop barcode label printer. It is set for the high performance and lower price to customers. 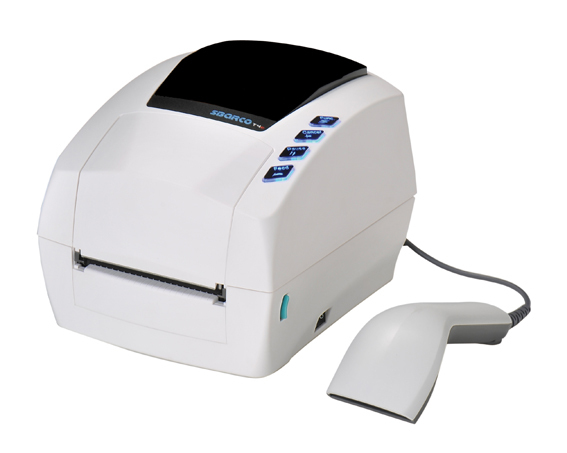 T4e is equipped with a 32 bit microprocessor for the faster printing job; T4e offers a standard memory 4MB Flash ROM and 8MB SDRAM; it is built with the most common communication ports, USB master and USB slave interfaces which can connect directly with PC or scanner for Scan to Print function; 4 function keys and one red LED light can easily operate the printer and show the error status. 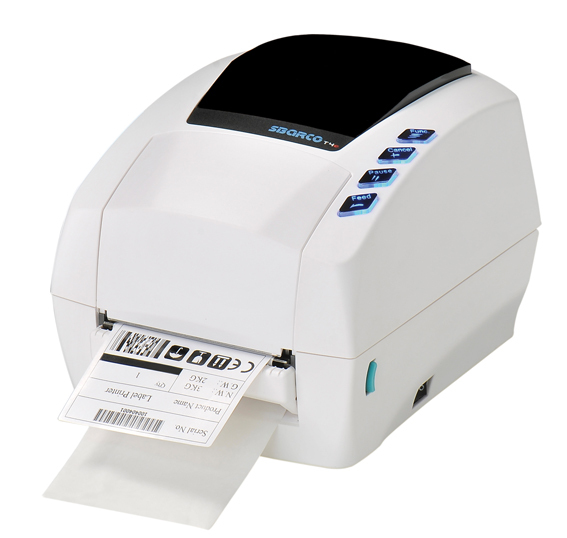 Eventhough T4e is a cost-effective barcode label printer, SBARCO provides also a utility shown the instant message when error status occurs.  This function can make the users understand immediately the printer conditions. 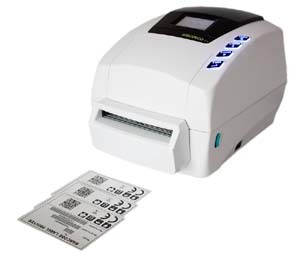 The best choice of barcode label printer is SBARCO T4e.